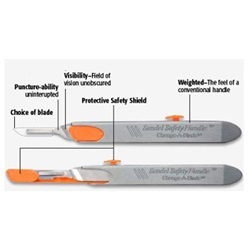 This size 3 handle allows the surgeon to use the preferred choice of blade while eliminating hazard with a protective safety shield. Requires no change in surgeon's technique. Blade can be changed as often as needed throughout procedure. 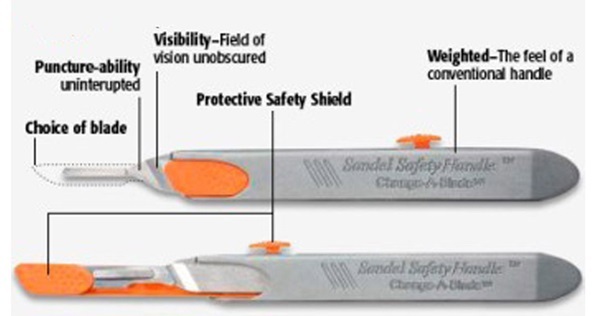 Same width, puncture-ability and visibility as a traditional scalpel handle. Sterile. Sold 48 per case.